Mondloch will discuss Mori’s "Wave UFO"
Faculty affiliate Kate Mondloch, an associate professor and director of graduate studies at the UO Department of the History of Art and Architecture, will examine the neuroscientific turn across the humanities, and in relationship to art history in particular. 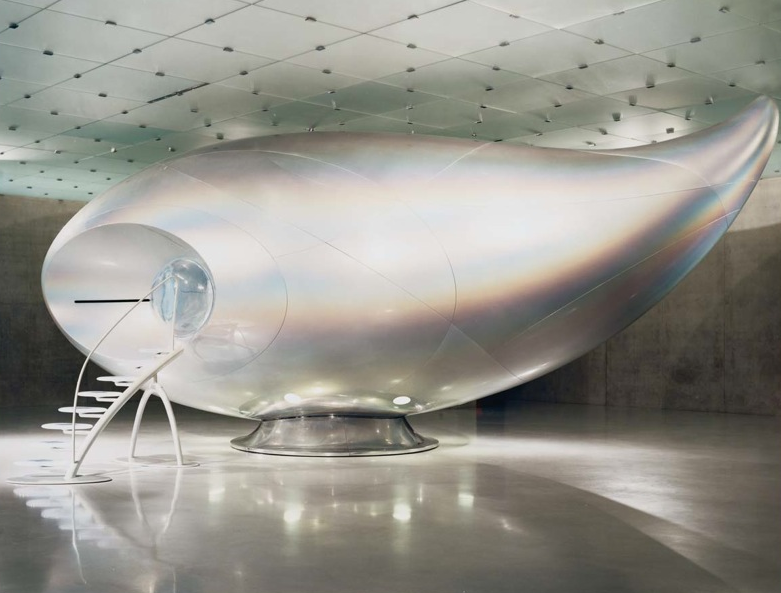 In an event that is free and open to the public, Mondloch will discuss new media artist Mariko Mori’s multimedia installation ‘Wave UFO’ as an entry into debates about the influence of the brain sciences. Mondloch received a 2010 CSWS Faculty Research Grant in support of her research. The lecture is entitled, “Kate Mondloch — Mind Over Matter: Mariko Mori and the Neuroscientific Turn.” It runs from noon to 1 p.m., Jan. 23, in the Jane Grant Conference Room of 330 Hendricks Hall. The talk is sponsored by the UO Center for the Study of Women in Society. The lecture stems from research supported by a CSWS Faculty Research Grant.